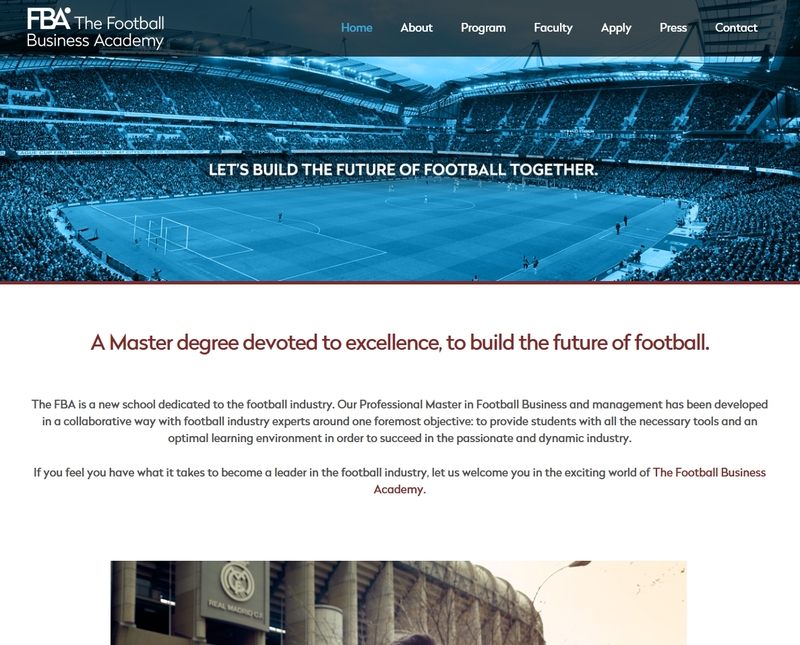 The FBA is a new school dedicated to the football industry. 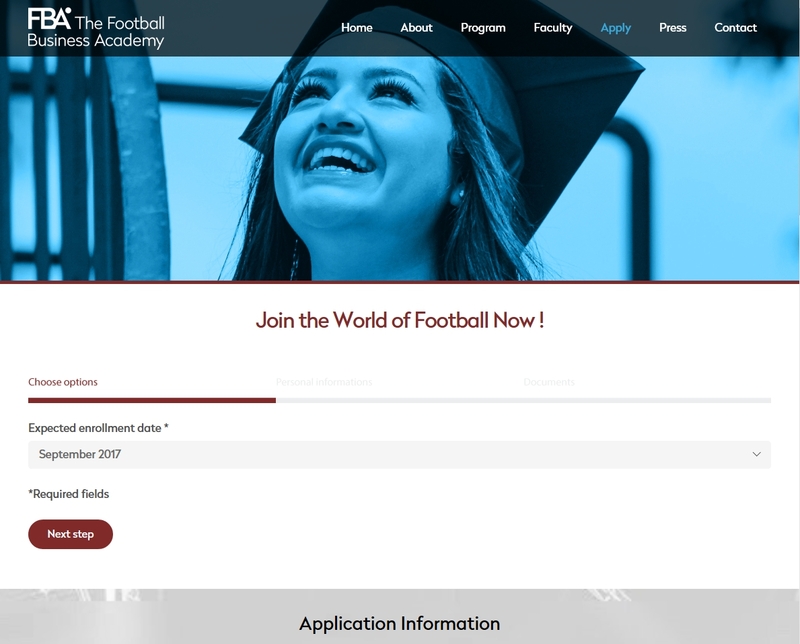 Their Professional Master in Football Business and management has been developed in a collaborative way with football industry experts around one foremost objective: to provide students with all the necessary tools and an optimal learning environment in order to succeed in the passionate and dynamic industry. 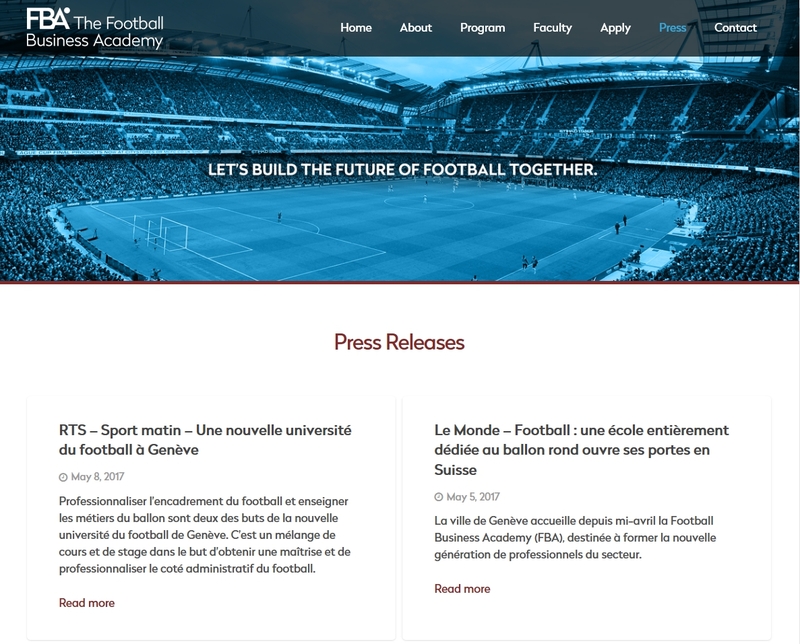 For The FBA, we developed this WordPress website in order to give them visibility as well as the online Liferay learning management system itself. We started working on it early 2017 and are very happy as the school successfully started early September. 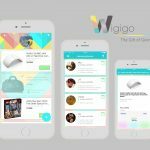 The main difficulty of such learning management system is to allow our clients (The-FBA) to manage their school in a very autonomous way and this through the years to come.